Celtic legends and modern life collide in this saga of a contemporary woman coming to grips with a destiny set in motion generations ago. Inspired by her unusual childhood in rural Appalachia, Sarah MacAlpin is set on pursuing a career as a folklorist. She had a rough start in life, but has worked tirelessly to set herself on the right track. Just when Sarah comes closest to reaching her professional goals, a startling revelation turns her whole world upside down. Can she survive what fate has in store for her, or will she follow in her mother's footsteps down the road to madness? The shocking prequel to The River Maiden. When she left Kettle Hollow, Molly MacAlpin hoped never to see her remote mountain home again. She returned eighteen months later angry, pregnant and abandoned by the man she loved. So, she threw all her energy into making sure her daughter had the best life possible. With the help and sometimes interference of her mother, she is raising a bright, sweet child she hopes will have every possible opportunity. Until one spring day a brief conversation with her little girl brings her world crashing down around her. Also includes a preview of The River Maiden (Once and Future Book 1). But Sarah’s seemingly idyllic past hides a horrifying secret. As a little girl she watched her mother’s inexorable slide into madness. But she hasn’t let her past stop her from reaching for her dreams. She has managed to put together a pretty good life for herself. She has great friends, a boyfriend, and her career as a folklorist is all planned out. Click here for some quotes. Just when Buddy Corbett thought his night couldn't get any worse, his brothers show up. As the youngest of the contentious Corbett clan, Buddy has spent most of his life trying to get away from the remote mountain hollow where they all grew up. Now at the end of a long day, he can't avoid talking to them. When one of his brothers mentions their old neighbor, Maggie MacAlpin, he can't help thinking about Old Maggie's granddaughter, Sarah. She was as tough and wild as she was beautiful. And she was the first girl that Buddy ever loved. One summer when they were barely old enough for kissing, Buddy learned just how much that love could cost them. 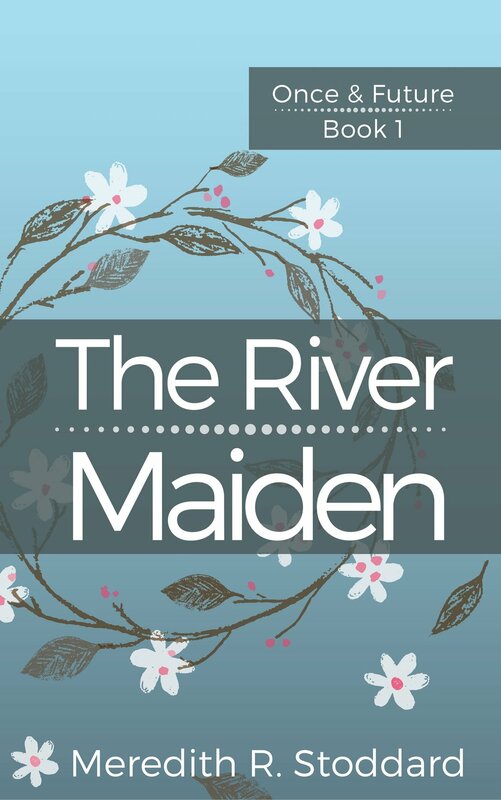 The traumatic events of The River Maiden have left Sarah MacAlpin’s life in shambles. Her best friend won’t talk to her. The man she loves says they can’t be together. She’s just discovered something that destroys the main thesis of her dissertation. To top it off, she’s learned that her dream fellowship in Scotland was given to her with ulterior motives by her billionaire benefactor. Sarah has to choose whether to accept the fellowship anyway or try to find a different path. Meanwhile she’s battling her own personal demons and questions about her family. She hopes to find some answers in her mother’s memoir. What she finds are some upsetting parallels to her own life. Like Sarah, Molly left Kettle Holler on the verge of making her dreams of being a dancer come true, but her ambitions were derailed by a family secret that took her across an ocean and left her a broken shade of her former self. When Sarah left her home in North Carolina, she had two goals in mind: get answers about her mother and get her man. Unfortunately, no one seems to want to cooperate. Working side by side with Dermot she throws temptation in his way every chance she gets. But something is always holding him back. So, Sarah devotes her time to researching the mysterious Highland village where her parents met. Of course, she can’t find it on any map and her so-called gift can’t help her. She has to turn to folklore for clues. Meanwhile Sarah is being pursued relentlessly by Scotland’s most eligible bachelor, James Stuart whose generous gifts and lavish attention may prove hard to resist. All Dermot wants to do is keep the women he loves safe, but he is torn between Sarah and the needs of his ailing mother. Watching his childhood friend, James attempt to romance the woman he loves may be more than he can take.